Warren Ellis back at the beginning of the century posted his manifesto about a new age of comics, pop comics, that would break out of the niche, dying super-hero market of the waning days of the 20th century by producing broad, multi-genre work. And arguably with titles like ZERO KILLER, 30 DAYS OF NIGHT, CRIMINAL, SPECIAL FORCES, TRUE STORY SWEAR TO GOD, WALKING DEAD, and comics being very much the idea space for all other media (HEROES, LOST, OC, HALO, 300, A HISTORY OF VIOLENCE) we’re at that place Ellis challenged us to get to… where comics are not just super-heroes, but are broad and varied, and are taken seriously by adults. We are at that place, and no writer in the last 15 years, has done more to get us to place, that transition from impenetrable continuity based boys’ club comics, to broad pop-comics that appeals to people who didn’t grow up with that medium…. than Warren Ellis. If you look at his bibliography in the last 10 years, his output is simply tremendous. All of his stuff isn’t great, but all his stuff strives toward that pop-philosophy of his.. of accessible comics. Of books that ask more of you than the routine. He’s doing a comic from Image called FELL which is not just the best comic he’s doing, but in this reviewers opinion one of the best comics currently being produced. He’s also currently doing a webcomic called FREAK ANGELS with artist Paul Duffield. Webcomics aren’t my thing, but I looked at the first episode, story is slow… but art looks lovely, but I ‘m not the type whose going to make time to go on the web to follow a comicstrip. But we’ll see. 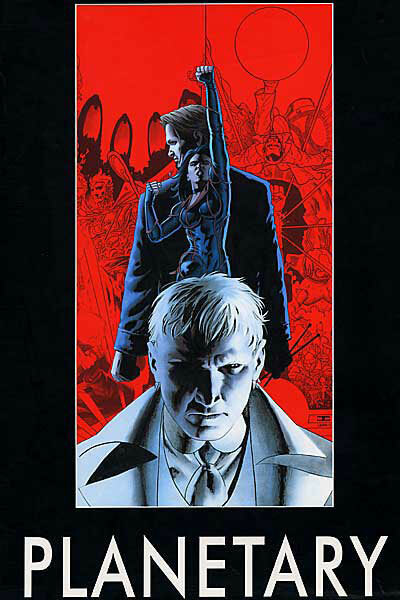 THE AUTHORITY – taking what he began in STORMWATCH to the next level, Ellis’ one year run on this book with Bryan Hitch very much coined the term BIG SCREEN Entertainment, as it relates to Slims (comicbooks). I recently sold my ABSOLUTE AUTHORITY (A sold out high quality oversized hardcover version, collecting all 12 issues) for a nice 3 figures… and now I want it back. 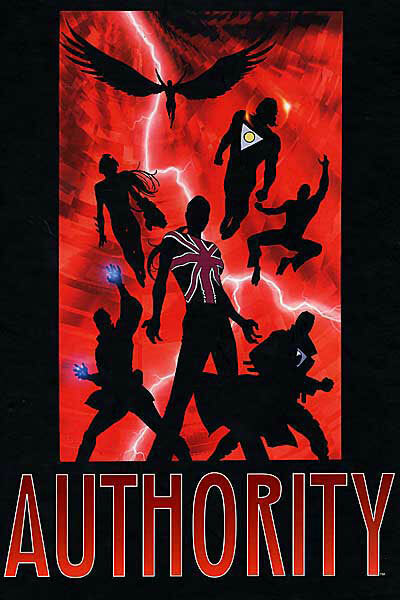 But I’m hopeful DC will reissue the ABSOLUTE AUTHORITY sometime soon. But till then the trades and original issues are readily available. Definitely one of Ellis’ defining works in comics. A work that were this all he had done, would be enough to remember him by… however AUTHORITY is only the tip of a very large, and very impressive iceberg. 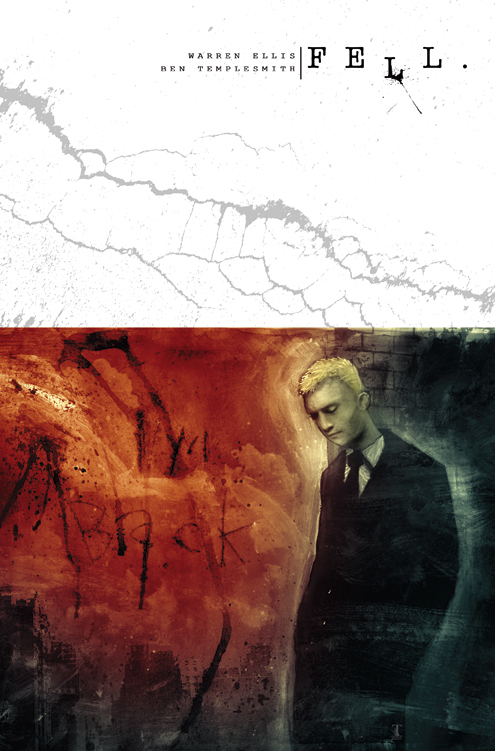 PLANETARY 1-26- two issues I believe remain to come out. But what I’ve read of this series, is simply sublime. If THE AUTHORITY is a summer blockbuster, PLANETARY is a love letter to the pulp heroes and movie serials of yesteryear, and is arguably smarter and deeper than THE AUTHORITY while being every bit as entertaining. I would be hard pressed to choose my favorite betwwen these very different works, but let’s put it this way… I sold my ABSOLUTE AUTHORITY book, not my ABSOLUTE PLANETARY. 🙂 . Make of that what you will. I completely was going to bring you this womb load of Warren Ellis recommendations, but got completely sidetracked when I stumbled across the below. Had to read the whole thing, you will to. If you like the above go out and buy Warren Ellis’ COME IN ALONE, released at the turn of the century, it’s some lovely, passionate, haunted stuff. When he describes flying into Iceland I believe, mountains tinged the color of blood by the dying of the light. Come back often as I’ll be updating these pages… uh…. often. :). “When the butler opened the door to the study, Grover knew he had made a mistake. This was not the East Hudson kind of person he was used to dealing with, not the mayor he had known as a shyster lawyer or the leading town physician who while drunk had once fumbled away the life of an infant. It was a different breed of man who sat in the cherrywood chair, his legs crossed under a cashmere robe, a thin volume on his lap. His graying hair, immaculately groomed, seemed to highlight a strong-lined, somber face. His eyes were light blue and unmoving. THE DESTROYER: CREATED, THE DESTROYER (Book #1 of the 37 year old series-one of the longest running men’s adventure books) by Warren Murphy. My god, that is some phenomenal writing. Written in 1971, when the world was young. For anyone who hasn’t read that first book, find it and read it. You will not be disappointed. For those of you not familiar with Warren Murphy or the DESTROYER series and those of you who are, I’ll be doing a page dedicated to the Destroyer series! So check back often.